A tyre with a symmetric tread pattern for powerful SUVs. Ensures sporting performance and safety in light off-road conditions. 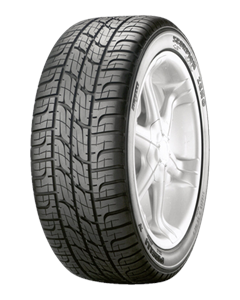 Pirelli SCORPION™ ZERO™ is a high performance on road tyre with optimal safety in off road conditions. It delivers excellent stability when cornering, exceptional handling on wet and dry roads and high grip whilst braking, providing increased safety margins and driving pleasure. The attractive tread pattern makes it the ideal tyre to combine with personalised wheels for a striking aesthetic effect and thanks to its all season compound it is one of the best suv tyres.